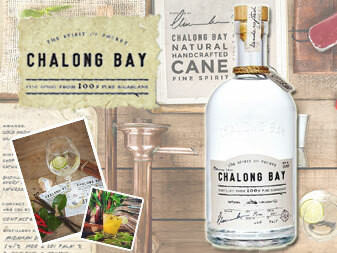 Chalong Bay was born from the passion of two individuals for rum and spirits, entrepreneurship, and Asia. Blending vision and passion, the unique dream is to create truly original handcrafted rum using sustainable production that binds the traditional French art of distillation with the rich sugarcane heritage of Thailand. Using a traditional copper still imported from France and a centuries-old distillation process, Chalong Bay’s innovative craftsmanship has produced an award-winning rum of incredible character, originality and smoothness, giving full expression to the 100% natural Thai sugarcane contained within. Only indigenous single variety best-in-crop sugarcane is selected. All sugarcane is grown without chemical fertilizers by local farmers, who still harvest their crop by hand, preserving the pure essence of natural sugarcane.